Southern African Wildlife College CEO Theresa Sowry recently attended the annual dinner of The Royal Foundation. Hosted by The Duke and Duchess of Cambridge and The Duke and Duchess of Sussex, the private function was at Victoria House in London. Since Prince Harry’s visit to the College at the end of 2015, The Royal Foundation has been supporting the College, as a regional hub for capacity development under the United for Wildlife umbrella. This is a project spearheaded by The Duke of Cambridge and The Royal Foundation that brings together seven of the world’s global conservation organisations under a common purpose: to create a global movement for change. “It is such a privilege to be considered by The Royal Foundation as a conservation entity that has measurable impact across Africa and beyond, as we respond to real needs in innovative, context-driven ways,” said Sowry. She was accompanied at the event by Sboniso Phakathi, who heads up The College’s Rural Initiatives for a Sustainable Environment (RISE) Unit, and Sergeant Macabe, who is a trainer in the Protected Area Integrity, African Field Ranger Training Services Unit. Along with protected area management training programmes and the development of SMART, a spatial monitoring and reporting tool, these units are supported by The Royal Foundation as part of their ongoing commitment to conservation and to helping rangers get the training they need to respond to the threats from illegal wildlife trade and poaching. The College has, since its establishment in 1996, trained over 16,000 people from 26 African countries, mostly from the southern Africa region. “Working with Dr. Naomi Doak, Head of Conservation Programmes at The Royal Foundation, has been an enlightening experience for the SAWC. She has a real understanding of capacity development needs within an African context and we’re excited and thankful to have been selected to partner with such a prestigious and influential Foundation,” said Sowry. During the event, the representatives of the College met with His Royal Highness The Duke of Cambridge and discussed the importance of an inclusive approach to address conservation challenges, an important focus of the College’s work. “Rangers need to be well trained, and so do managers, but communities need to see value in the work that they do for conservation to succeed. Their support and engagement are critical for conservation,” said Sowry. 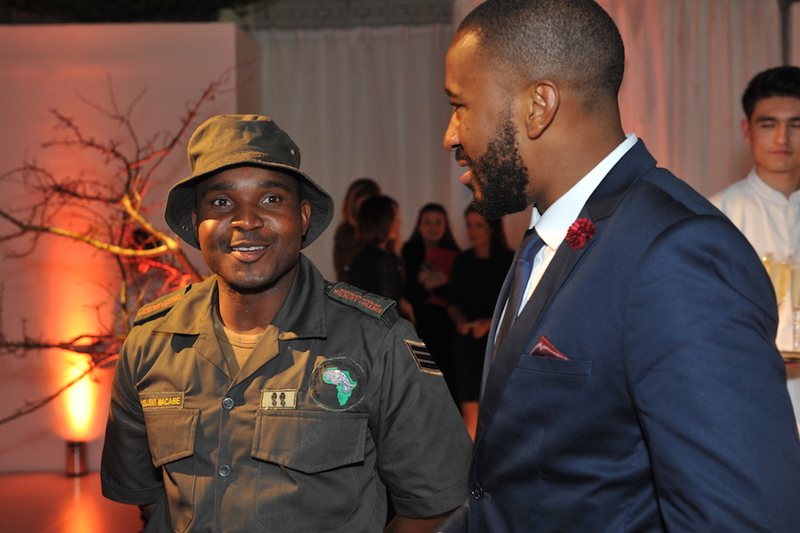 Sergeant Mcabe (Left), who is a trainer in the Protected Area Integrity, African Field Ranger Training Services Unit and Sboniso Phakathi (Right), who heads up The College’s Rural Initiatives for a Sustainable Environment (RISE) Unit attending the Royal Foundation Event. 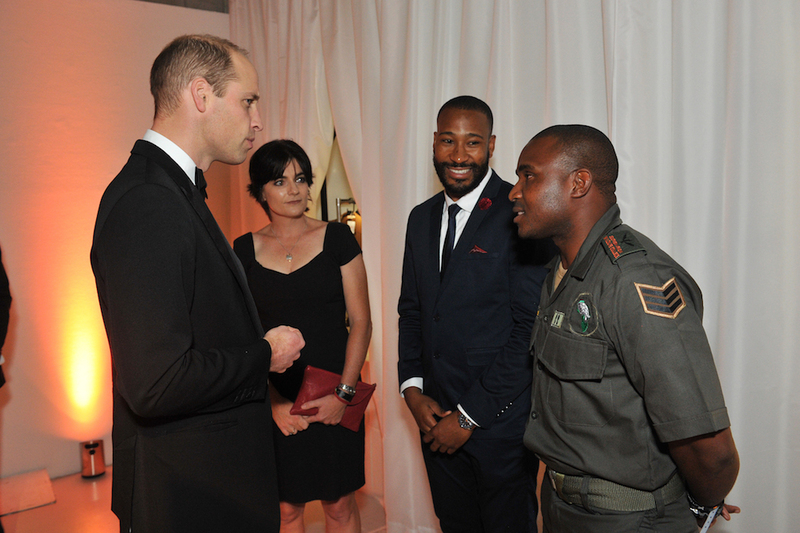 Southern African Wildlife College CEO Theresa Sowry (left), Sboniso Phakathi and Sergeant Mcabe (right) meeting the Duke of Cambridge.